We are a leading manufacturer, supplier & exporter of Press Machine that is specially designed by our experienced professionals at our technically advanced infrastructure. This range is highly applicable in numerous industries and is widely appreciated by our customers for their high durability, excellent performance and easy installation. We offer these machines in custom-built specifications to match the needs & requirements of our respectable clients. 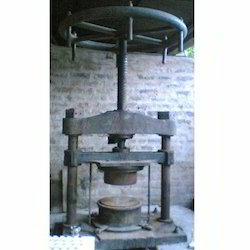 We are a prominent organization, which is engaged in manufacturing, supplying and exporting a broad range of Sagger Press. Offered products are highly durable and are corrosion resisting due to which they are k\highly demanded in the market. 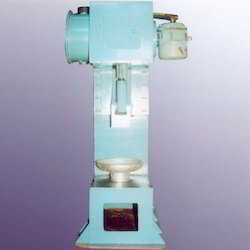 We manufacture these presses at par with the international norms and standards. 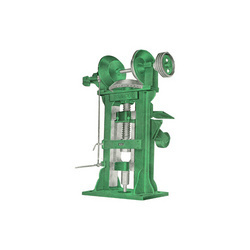 Mainly used for making Saggers and similar articles, offered machines are Hand driven with excellent durability. With the help of competent professionals, we have been able to offer a wide range of Bumping Press. Fabricated using excellent quality raw material procured from certified vendors, our adroit professionals manufacture these presses using latest technologies and hi-tech tools. Moreover, these products are made in tandem with the international standards ensuring delivery of best quality range to our valued patrons. We are an renowned organization engaged in offering the best Friction Screw Press. These products are made from quality-assured raw materials supplied from the authorized vendors in the industry. We construct these by making hiring skilled workers. Moreover,we are capable of customizing these products in accordance with the clients specifications so as to suit their requirements. Looking for Press Machine ?